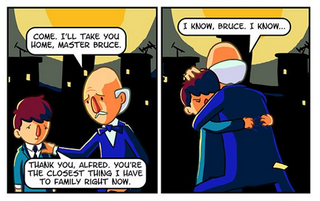 Batman's origin was already depressing. Dorkly has found a way to make it even more traumatic. I've read a lot of Batman stories over the years but I can't remember anything with this particular take. Yeah, you can laugh at it... if you're the Joker.